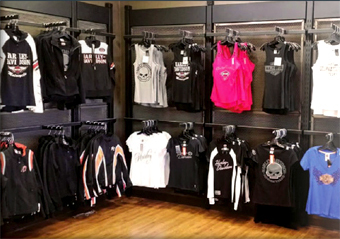 Pig Trail Harley Davidson offers two great stores in the Eureka Springs area! 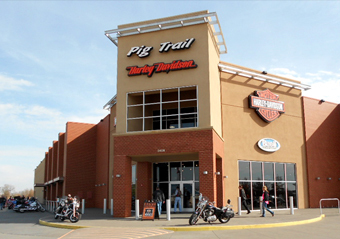 The Eureka Springs location of Pig Trail Harley Davidson is located in the Gaskin Switch Shopping Center on Hwy 62. Stop by and the friendly staff will answer any questions you might have about biking in the area. Purchase authentic Harley-Davidson shirts, collectables, and assorted riding gear and essentials. A beautiful 40 minute ride away is the Pig Trais H-D dealership in Rogers, Arkansas. This beautiful dealership is definitely not something you will want to miss. There you will also find Sales, Service, Parts, gear and Bike rental departments. To view more from Pig Trail H-D, CLICK HERE.